Pension 'Zu den Linden' Radebeul, Hotel Germany. Limited Time Offer! Pension 'Zu den Linden'. 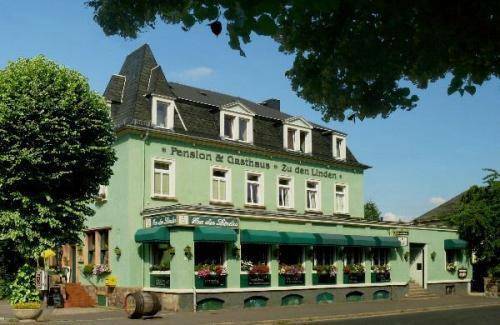 "Pension 'Zu den Linden'" is perfect for discovering Radebeul. "Pension 'Zu den Linden'" features a traditional interior decoration. All the rooms have been described as bright and welcoming. For dinner there is no need to leave the accommodation as there is an onsite restaurant. Inspired by American motels, this hotel in the quiet Trachau district of Dresden offers a traditional-style restaurant with beer garden, free Wi-Fi, and spacious rooms. It is on the Saxon Wine Route.